Just in case your browser hasn't popped up and told you, Firefox 2.0.0.12 is now available! 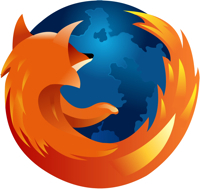 This version addresses stability and security issues uncovered in Firefox 2.0.0.11. Several of the fixes are critically important. Therefore, it's recommended that all users upgrade as soon as possible. The issue I found most annoying with Firefox 2.0.0.11 is also the first listed fix: Firefox seems to be crashing with some sort of memory corruption. Needless to say, I'm upgrading right away. In the meantime, here's a list of fixes in Firefox 2.0.0.12. You can click on the MFSA ID to get more information on the fix.